We have added 30 new styles (color palette) to the design tab. 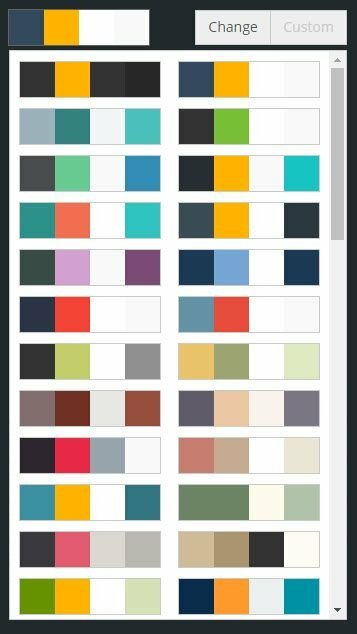 Now you have many new color options to choose from -- easily in a click. Try them out! They are all available in the free plan and you might find the exact colors that you were looking for. More than 2466 SITE123 websites created in US today!